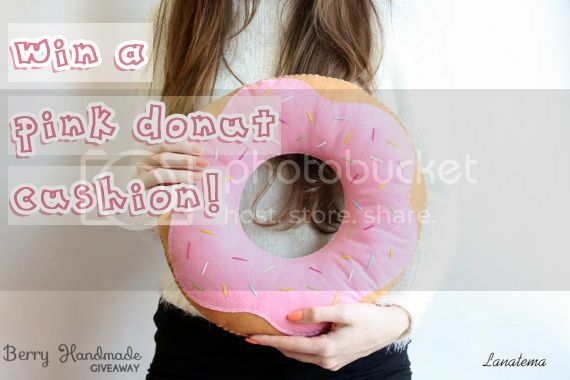 Lil' Blog and More: Lanatema Handmade Pink Donut Pillow Giveaway! Ends 11/8/15 - Open Worldwide! I love handmade items, and well, anything adorable. So when I saw this awesome giveaway event, I had to join in. I mean, who wouldn't want a frosted donut pillow? I know I would : )!! Be sure to check out the awesome sponsor, to see all of the other adorable creations she has! "At Lanatema, you'll find a variety of sweetness, softness, and handmade felt delights! The whole shop if filled with felt eye-candy... be sure to check out the felt bookmarks, plush Christmas ornaments, cushiony smartphone sleeves, plus more. 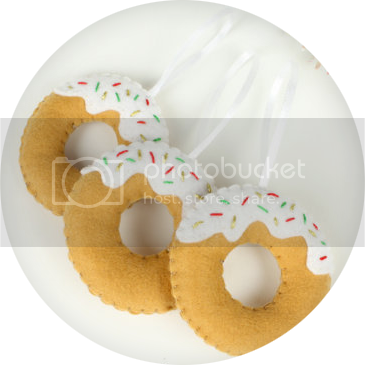 Of course, we can't forget the awesome frosted donut pillows that we're giving away! Size is 13" in diameter. $33 ARV." WANT TO WIN? Here's your chance! Contest ends on November 8, 2015. Open Worldwide. The Halloween home decor, felt ornaments, felt funny ghosts, trick or treat, american party decoration are my favorite! So darn cute! Bookmark pink owl with white heart, corner pink felt. So many adorable items to choose from! Love your Etsy Shop...my Granddaughter would probably want it all :) I did <3 Customizable donut cushion with your name, lavender donut pillow, felt home decor, personalize your pillow, WITH YOUR NAME, and Pillow Poptarts cookie with pink frosting and sparkly sprinkles, felt pillow, for your bedroom. The felt elf Christmas ornament is so cute!! I love the felt reindeer!! so cute! I hearted so many things! 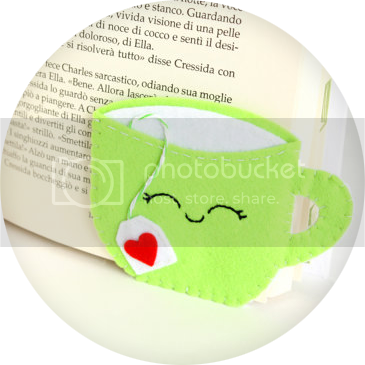 I love the green teacup bookmark and the halloween felt cuties and the lovers with balloon canvas.I love everything! I like the felt Owl wall decoration. My favorite item is the felt owl. I love the Little donuts felt ornaments. I love the cute Set of 5 felt reindeers. Love the gingerbread ballerina on the site. 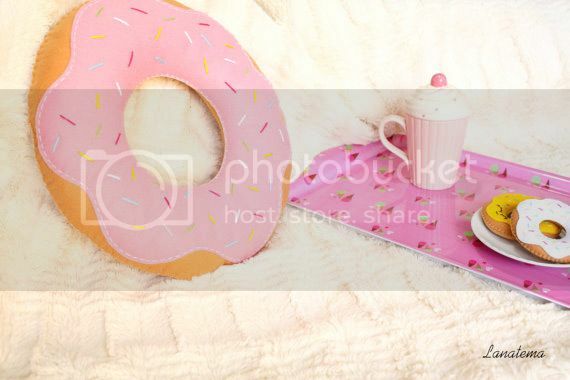 My favorite item is Big donut felt cushion pink with colorful sprinkles, interior decoration, decorative cushion, Welovedonuts. I 'hearted' it, and also Unicorn felt corner bookmark, magic light blue unicorn with sparkling yellow horn, fantasy readings, Cute panda felt corner bookmark, a sweet thought for who loves reading, gift idea and Bookmark pink owl with white heart, corner pink felt bookmark, animals. 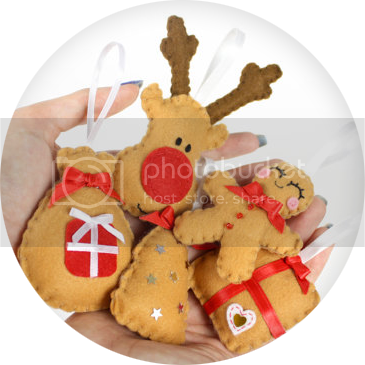 Set of 5 felt reindeers, set of felt Christmas decoration are my favorites in your shop! Sooo many adorable items! I especially love the cloud bookmark with the rainbow raindrops! this is so silly, its awesome!